Expecting? Welcome to McMoyler Method™ Parent Prep Series. A series tailor made for busy expectant parents. 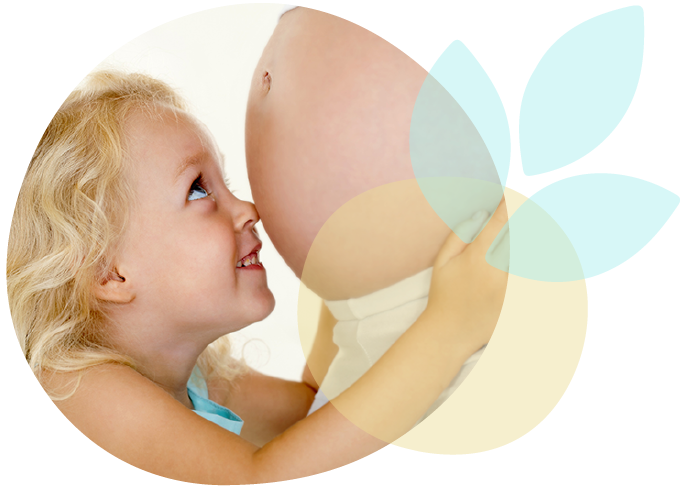 Kinspace is exclusively offering McMoyler Method™ prenatal classes, providing expectant parents with all current best practices and options for any type of birth. Over two consecutive evenings or one Saturday, we cover topics including childbirth, newborn care, breastfeeding, and infant CPR. McMoyler Method™ is a fun, fact-based approach to childbirth education, developed by childbirth expert Sarah McMoyler, RN. At the end of our series you and your partner will be informed, empowered, and prepared to cope with pain, communicate with your healthcare team, and make choices that are right for you, your baby, and your family. We keep our class size limited to promote community and allow lots of time for individualized attention. During our classes, you'll have an opportunity to connect with other expectant parents. You'll learn together, exchange thoughts about your shared experience, all while you begin to create your parenting village. Fee includes Parent Prep Series for two, one McMoyler Method™ course book, and light refreshments during our class. Refund Policy: At Kinspace, we recognize that life happens, plans change. If you need to cancel for any reason, up to 2 weeks before your scheduled class, we will issue you a full refund minus a 7% admin fee. All other cancellations are handled on a case by case basis. Don't see what you're looking for? Ask about our waitlist! To prepare you for the birth of your baby, we'll discuss key topics including best practices for medicated and non-medicated births, movement during labor, coping techniques, and partner support. We'll also look at the physiology of the pregnant body, pre-term labor signs, labor terminology, breathing and vocalization techniques, medical interventions, cesarian birth, and how to communicate effectively with your birthing team. We'll cover a range of topics to help you and your baby feel comfortable in the first few days, and first few weeks, postpartum. Topics include swaddling and soothing; safe sleep; diapering, dressing, bathing, nail trimming and cord care; as well as prevention and treatment of postpartum depression and baby blues; and answer common questions about life post-baby. Breastfeeding is natural, but it's not always easy. We'll demystify breastfeeding, and teach you techniques that really work. Mothers and partners will learn about newborn latching, positioning, pumping techniques, and introducing a bottle. This CPR and choking response session is taught by a certified CPR instructor. Mothers and partners receive hands-on experience with CPR mannequins, and learn choking prevention techniques outlined in The Best Birth course book. This is crucial knowledge for all new parents. This is not a certification class. Can’t get to the Parent Prep Series in person? The online course is your solution. The online course is taught by Sarah McMoyler RN BSN, whose teaching style is both sophisticated and humorous. In the course she covers four core topics: childbirth prep, newborn care, breastfeeding, and infant CPR. It is accessible on any device: desktop, laptop, tablet, or phone. Susan is extremely informed, but beyond that, the whole class could feel how much she cared for each of us.” - Carolina L.